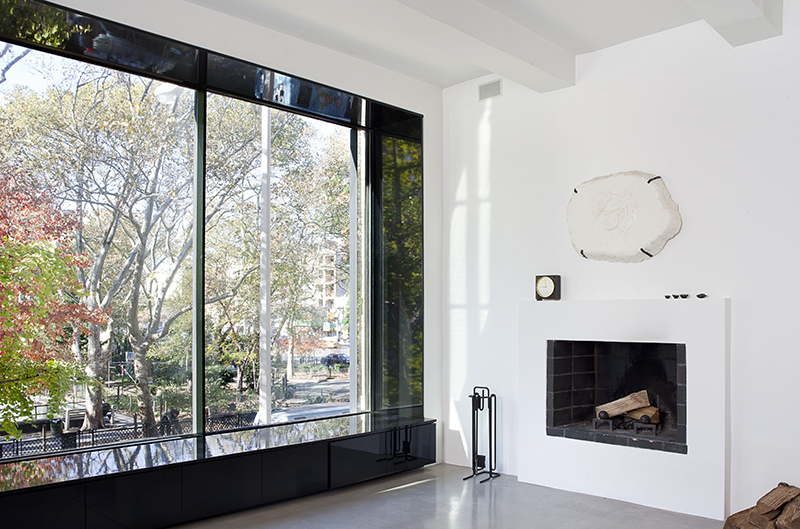 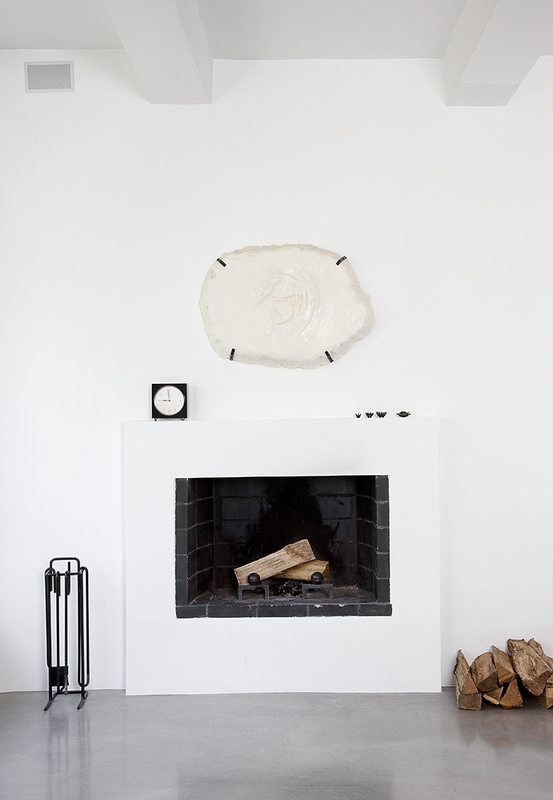 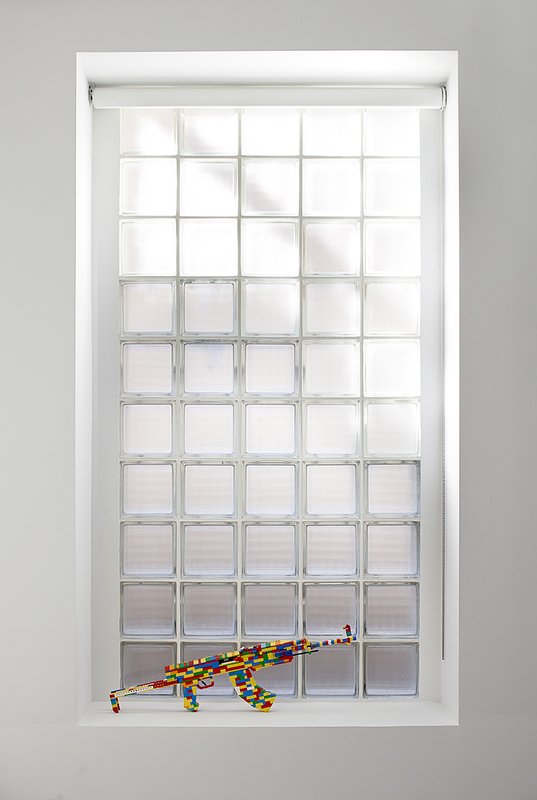 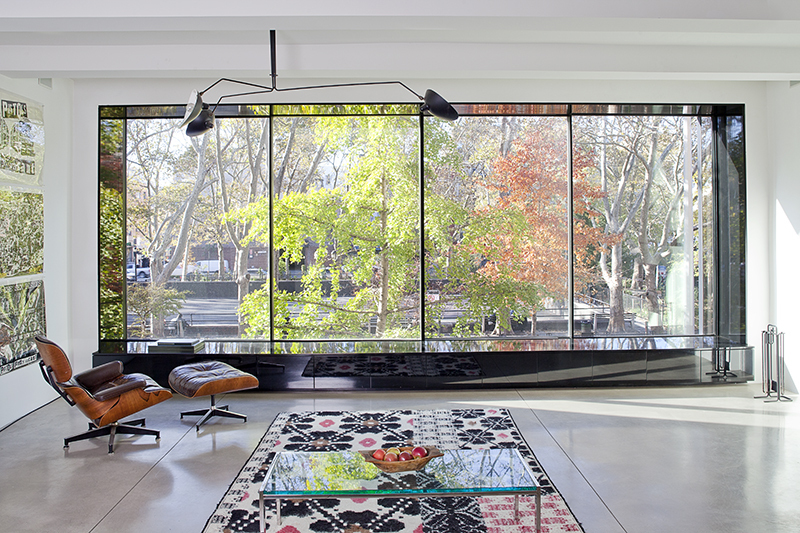 The project was a full ren­o­va­tion of a Lower East Side loft space located across from the Sara D. Roo­sevelt Park. 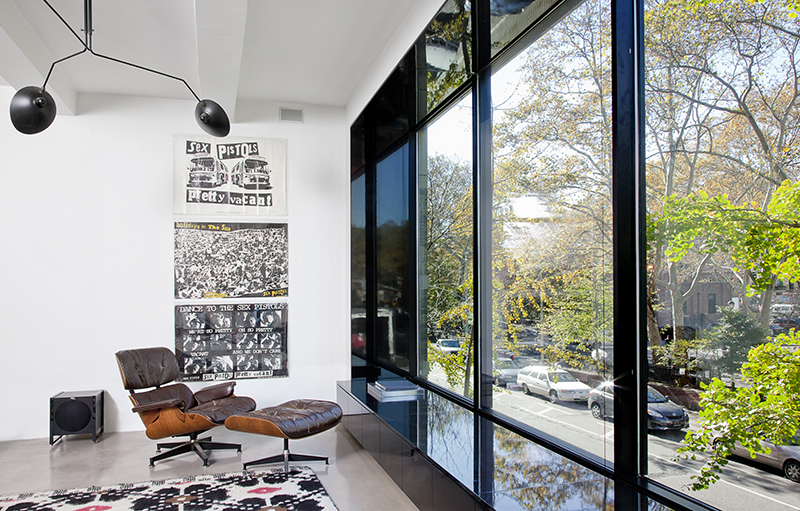 The prin­cipal goal of the design was to create a spare spa­tial con­tainer that would restore the inherent qual­i­ties of the loft. 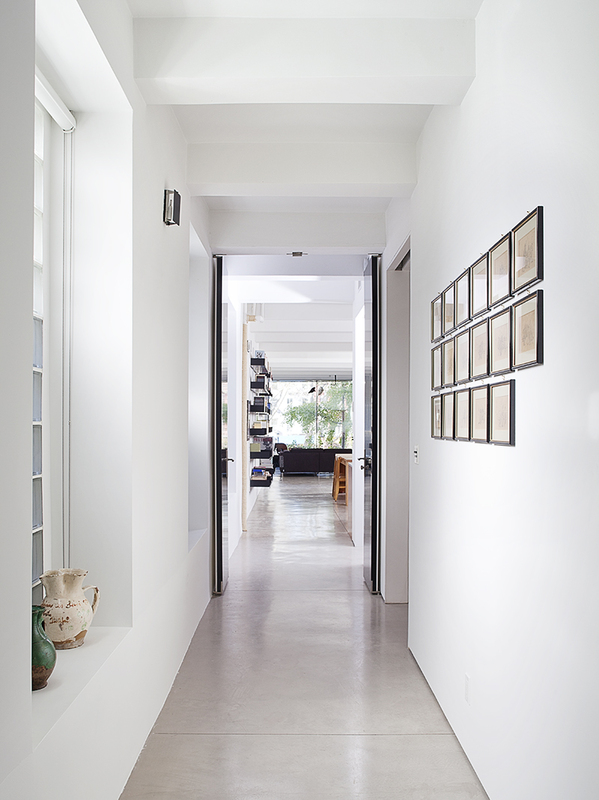 Perimeter walls and existing con­crete beams were re-plastered and a radiant heated con­crete floor was poured throughout the unit. 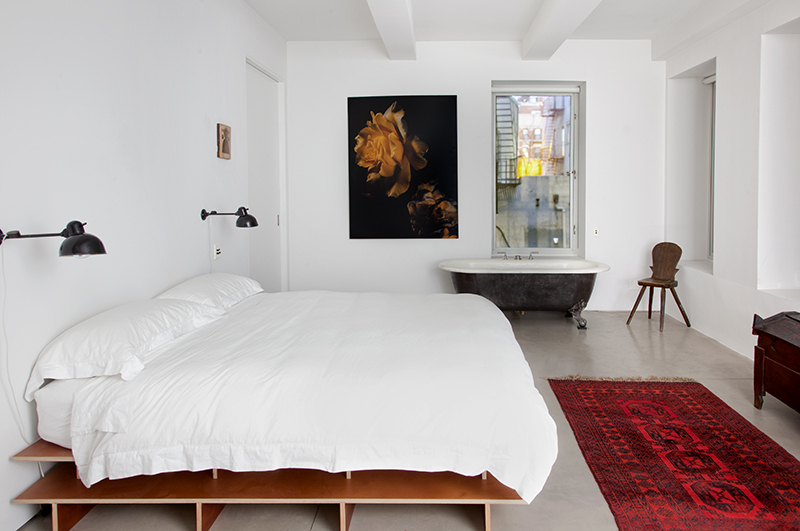 A simple arrange­ment of rooms makes up the cen­tral area of the loft with the master bed­room in the rear. 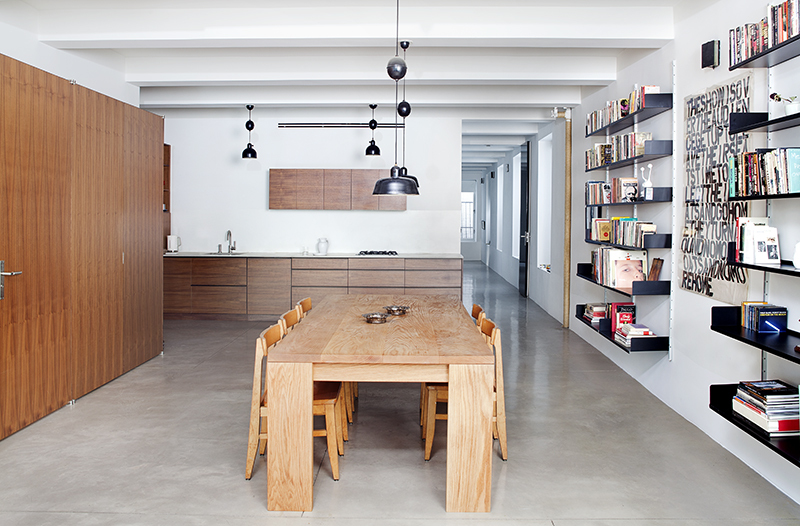 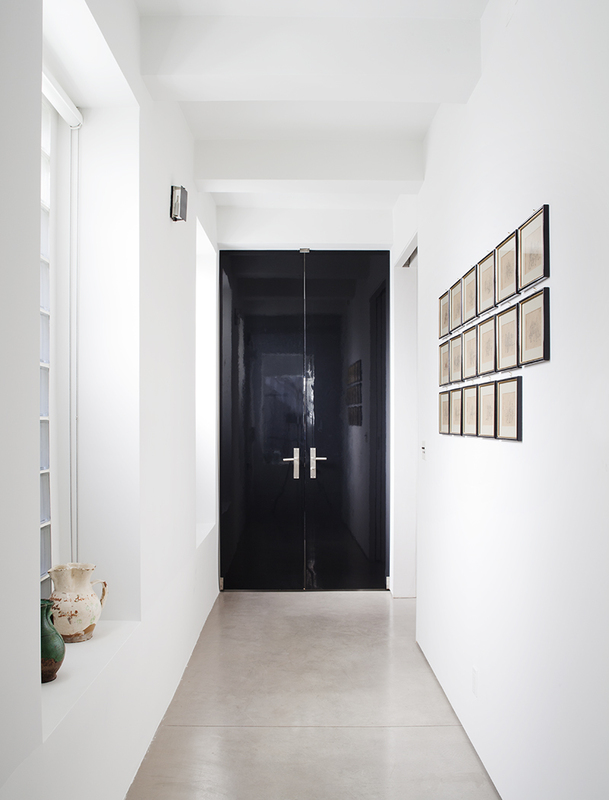 A pair of full height doors closes off this back por­tion of the loft from the front when nec­es­sary. 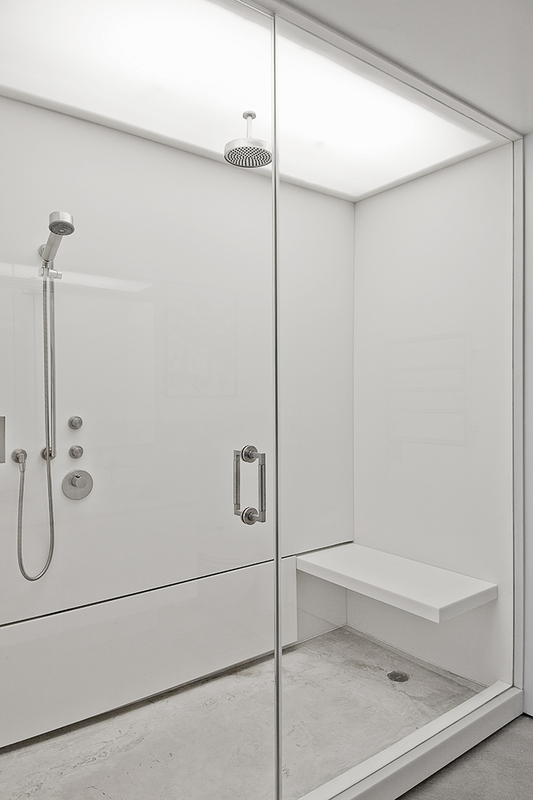 The master bath­room is high­lighted by a backlit Corian ceiling and fold­able bench. 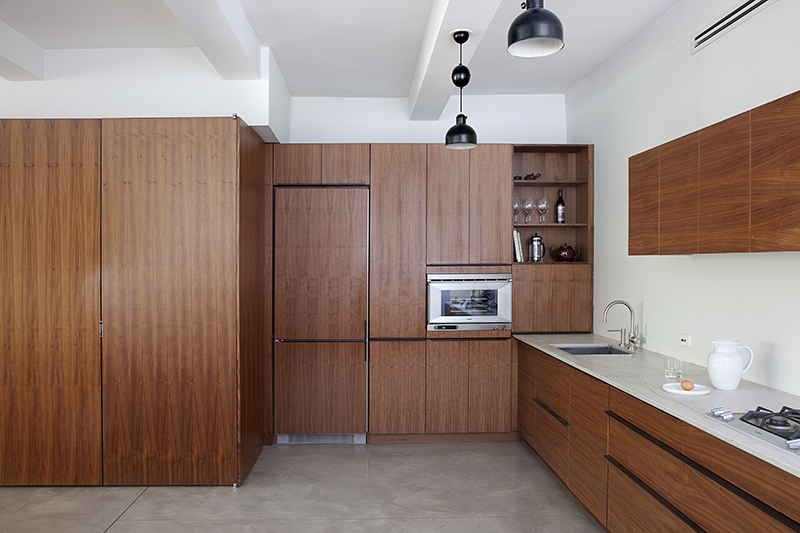 The open kitchen is an L-shaped wall of mahogany cab­i­nets by Hen­ry­built. 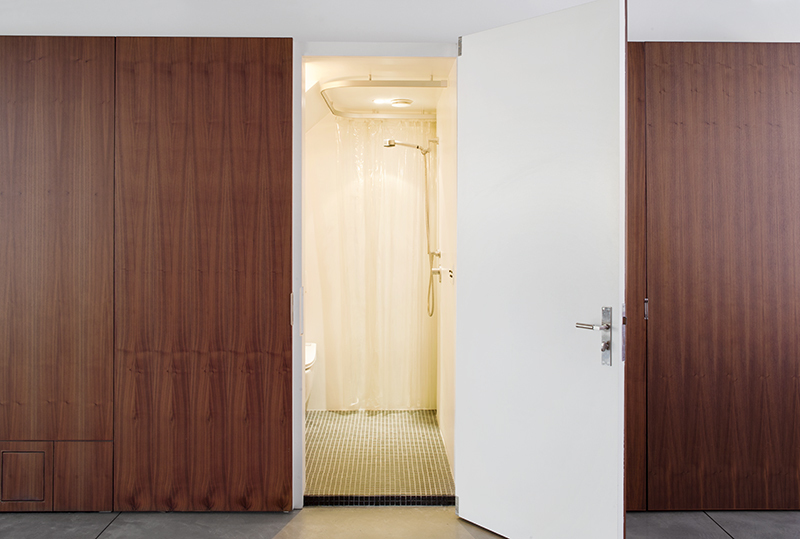 The wood panels obscure the series of doors for the powder room and closet and main­tain the mate­ri­ality of the wood as the pri­mary goal.